Huge Breaking News! Russia Adopts Simplified New Citizenship Law! I frequently get asked how to move to Russia and especially how to obtain Russian citizenship. As the Western World’s crisis intensifies, as the upcoming uncertainty becomes more obvious, this question is more and more on people’s mind. 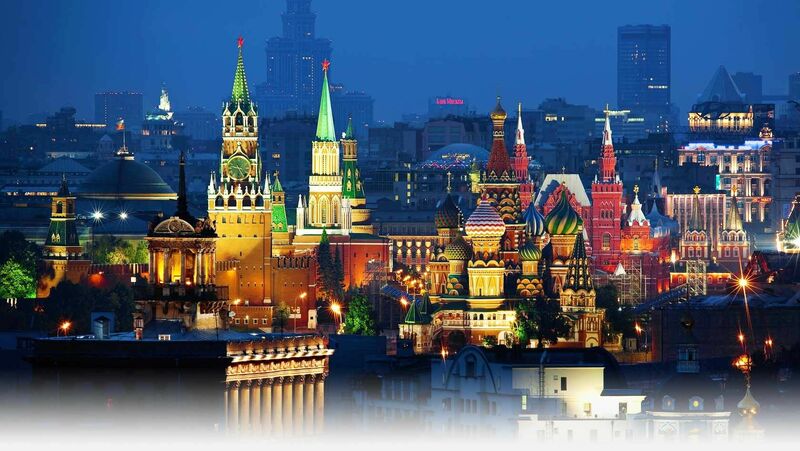 Moving to Russia is not a problem if you have a skill or talent Russians value and if you can obtain gainful employment where employer would vouch for you; if you open a business, which provides jobs and pays taxes; if you have certain material assets. After what happened in the late 1980s and 1990s, including a huge drainage of valuable talent and skill, when millions moved to the West where they were paid more (some have returned already), plus the fracturing of the Russian world, when the estimated 25 million Russians became stuck in often unfriendly regimes, a knee jerk reaction made Russia very reticent about accepting anyone back easily. I’ve been expecting the new citizenship law for years. A few years ago I was in talks with the Russian embassy in the US, advising them that they really needed to do something about their tough citizenship laws. I told them that they would immediately get a lot of valuable specialists, should they finally liberalize the Russian citizenship requirements! Looks like my message got across to the right people. The law isn’t as comprehensive and broad as many hoped, but it’s a giant leap forward. Many – yours truly included – thought Russians were way too slow in adopting the new citizenship law. However, there were legitimate reasons for this extreme caution. And it’s better late than never! I anticipate that the surprise news with which the Russian government just came out will generate a stampede of those desirous to move to Russia and obtain Russian citizenship. I keep hearing from my international contacts that several hundred thousand Russian Germans residing in Germany are awaiting their permits to repatriate to Russia. The Russian Germans are German nationals whose ancestors used to lived in Russia, Ukraine and Kazakhstan. I hear from various Russians residing in the US, usually scientists, techies, art and sports professionals, that they can’t wait for an opportunity to return to Russia. Don’t even get me started on how many millions want to leave Ukraine, Moldova, Estonia, Latvia and Lithuania, as well as various Eastern Europe countries! This is mega-news, and while the newly adopted law isn’t as broad as was initially proposed and it doesn’t apply to all categories that are hoping for Russian citizenship, it opens the floodgates for millions to emigrate to Russia. The expected immediate impact is 2-3 million applicants. Actually, at this point let me pause for a second and enjoy picturing George Soros squirming from the news. As you know, enjoying anyone, even that entity, suffering is not my style, but here I think it’s rather appropriate. After all, Soros – the pointman of the dark NWO agenda – throughout 1980s-2000s had made it his life’s mission to drain Russia of all resources, including the most valuable resource, her people, to feed then growing NWO machine. The next step would have been the dismemberment and destruction of the World’s Great Balancer, Russia, followed by a wholesale re-writing of history to eliminate for the future generations the truth of Russia’s role and very existence. In the long bygone eras this had already happened more than once; the truth of our real origins and roots was deleted, while lies were inserted in our psyche. As it is, we presently live in the 90% falsified history, and only faint echos of truth still exist in our languages and lore, visible only to those who know where to look. For just a small hint of the truth read my piece Forbidden History: Are Scandinavians Slavs? According to the master plan, the destruction of Russia would have been followed by the complete and final takeover of the world by what we came to call NWO: the New World Order. It appeared in the ’90s and throughout 2000s Soros and his cronies have almost succeeded. It was only after Vladimir Putin came to power that the trend began reversing in earnest. Helped by all those of us who saw where the wind was blowing, he thwarted their careful plans and this is the real reason Putin is so universally feared and hated by the Western elites. This is also the reason he is so universally loved and supported in Russia and all over the world. The way the new simplified Russian citizenship law has been worded, it primarily targets those who reside in the West, especially US, Canada, UK, Germany, France and EU in general. Therefore, this is the law that targets valuable professionals, people with assets and Western know-how. It also targets some people residing in the post-Soviet space, especially the Baltics (Estonia, Latvia, Lithuania – all members of the EU and NATO) and to a smaller degree, Ukraine, Caucasus, Belarus and Central Asia..
I’ll soon have a detailed report about the new Russian citizenship law & how it works. It’ll come out in a different format than my usual FT articles and ESRs. Stay tuned for my big announcements in July and August! Lots of major geopolitical and Earth Shifting events happening as we speak! These include the historic SCO summit, Putin’s China visit and Turkey/Erdogan’s apology to Russia. A new article and a new Earth Shift Report on these events coming your way this and next week! To conclude: WOW! My ESR12 BREXIT aftermath predictions began materializing immediately after the UK referendum, including attempts to delay or reverse the results, fights inside the UK, revolts in the EU and Scotland independence referendum 2.0! My BREXIT aftermath analysis coming soon; it’ll become a written addendum to ESR12: THE FUTURE OF THE EU!